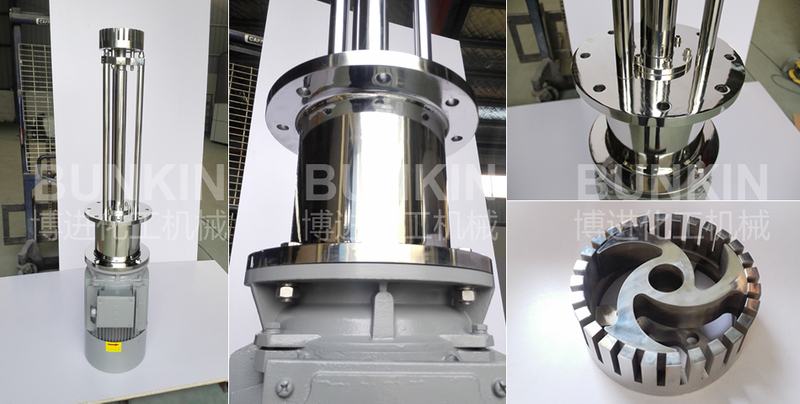 Batch High Shear Mixer_Anhui Bunkin Chemical Machinery Co.,LTD. Applied materials: Suitable for industrial coatings, general printing inks, and general pigment dispersions, calcium carbonate powder, liquids agrochemicals etc. Industrial Batch High Shear Mixer narrows the particle size of liquid-liquid and liquid-solid materials through external mechanical force and distribute one phase materials into another phase or many other phases evenly to realize good homogenizing, dispersing and emulsifying result. Suitable for dispersing, emulsifying and homogenizing materials in industries such as biology, pharmacy, food, ink, textile auxiliary, cosmetic lubricating oil and fertilizer etc. Special workheads available for all models. 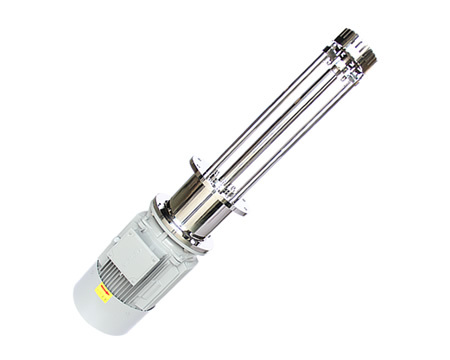 1-75 kW, TEFC, flame proof, ATEX approved and stainless steel motors available as standard.